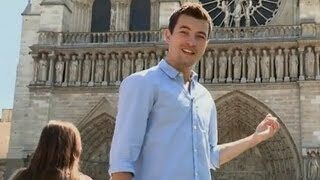 The district Saint-Merri of Paris in Paris (Île-de-France Region) is a district located in France and is a district of the nations capital. Since you are here already, you might want to pay a visit to some of the following locations: Saint-Denis, L'Hay-les-Roses, Boulogne-Billancourt, Bobigny and Antony. To further explore this place, just scroll down and browse the available info. Let's start with some photos from the area. 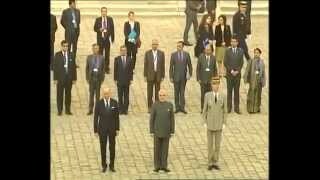 The Prime Minister, Shri Narendra Modi inspecting the Guard of Honour, at the Ceremonial reception, at Hotel National des Invalides, in Paris on April 10, 2015. 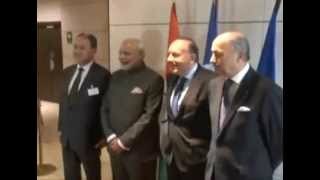 The Prime Minister, Shri Narendra Modi at the Round Table Meeting with the with French CEOs in Paris, France on April 10, 2015. 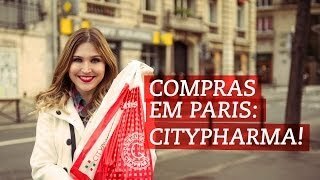 Compras em Paris - Citypharma, a farmácia mais barata da cidade! Located at 48.8607, 2.35241 (Lat. / Lng. ), about 1 miles away. Rue de Rivoli is one of the most famous streets of Paris, a commercial street whose shops include the most fashionable names in the world. It bears the name of Napoleon's early victory against the Austrian army, at the battle of Rivoli, fought January 14 and 15, 1797. The rue de Rivoli marked a transitional compromise between an urbanism of prestige monuments and aristocratic squares, and the forms of modern town planning by official regulation. Located at 48.8569, 2.35367 (Lat. / Lng. ), about 0 miles away. IRCAM (Institut de Recherche et Coordination Acoustique/Musique) is a French institute for science about music and sound and avant garde electro-acoustical art music. 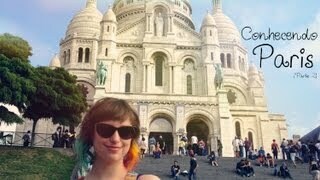 It is situated next to, and is organizationally linked with, the Centre Pompidou in Paris. The extension of the building was designed by Renzo Piano and Richard Rogers. Located at 48.8599, 2.3514 (Lat. / Lng. ), about 0 miles away. Hôtel de Ville is a rapid transit station on Lines 1 and 11 of the Paris Métro. The station lies within the fourth arrondissement of the central city, close to the Hôtel de Ville de Paris. Located at 48.8575, 2.35153 (Lat. / Lng. ), about 0 miles away. Rambuteau is a station on line 11 of the Paris Métro in the 3rd and 4th arrondissements in central Paris. The station opened as part of the original section of the line from Châtelet to Porte des Lilas on 28 April 1935. Located at 48.8612, 2.35343 (Lat. / Lng. ), about 1 miles away. Saint-Jacques Tower, the Tour Saint-Jacques, is a monument located in the 4th arrondissement of Paris, France, on Rue de Rivoli at Rue Nicolas Flamel. This 52 metres Flamboyant Gothic tower is all that remains of the former 16th century Church of Saint-Jacques-de-la-Boucherie ("Saint James of the butchery") which was leveled shortly after the French Revolution. Located at 48.8578, 2.34878 (Lat. / Lng. ), about 0 miles away. Located at 48.8567, 2.35139 (Lat. / Lng. ), about 0 miles away. The Hôtel de Ville in :Paris, France, is the building housing the City of Paris's administration. Standing on the place de l'Hôtel de Ville in the city's IVe arrondissement, it has been the location of the municipality of Paris since 1357. It serves multiple functions, housing the local administration, the Mayor of Paris (since 1977), and also serves as a venue for large receptions. It is located near the metro station: Hôtel de Ville. Located at 48.8564, 2.35222 (Lat. / Lng. ), about 0 miles away. 52 BC - Lutetia, later to become Paris, is built by the Gallo-Romans 1113 - Pierre Abélard opens his school 1163 - Building of Notre Dame begins 1257 - The Sorbonne University is founded 1682 - Louis XIV moves the French court from the Tuileries palace to Versailles July, 1789 - Storming of the Bastille Royal family forced from Versailles back to Paris 1814 - Paris occupied by the armies of the Sixth Coalition after the fall of Napoleon 1815 - Paris is again occupied, this time by the Seventh Coalition, after the end of the Hundred Days 1840 - Napoleon's remains are buried at Les Invalides 1853 - Baron Georges-Eugène Haussmann rebuilds the center of Paris 1855 - Exposition Universelle (1855) 1856 - Congress of Paris is held 1867 - Exposition Universelle (1867) 1880 - Paris suffers a drastic change in weather which causes the Seine River to completely freeze over. Located at 48.8567, 2.35194 (Lat. / Lng. ), about 0 miles away. 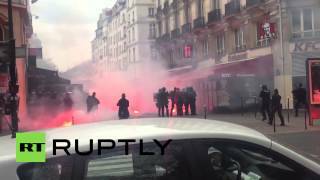 13 Vendémiaire Year 4 (5 October 1795 in the French Republican Calendar) is the name given to a battle between the French Revolutionary troops and Royalist forces in the streets of Paris. The battle was largely responsible for the rapid advancement of Republican General Napoleon Bonaparte's career. Located at 48.8567, 2.35099 (Lat. / Lng. ), about 0 miles away. St-Gervais-et-St-Protais Church of Paris is located in the Marais district on Place Saint-Gervais in the 4th arrondissement of Paris, east of City Hall (Hôtel de Ville). Beginning in 1653, the church employed and sheltered the Couperin family, one of the most famous dynasties of French musicians, for more than two centuries. On one side of the church, the home of the famous harpsichordists, organists, and composers still stands, with a plaque commemorating the Couperins' tenure in this place. Located at 48.8556, 2.35444 (Lat. / Lng. ), about 0 miles away. The Church of Saint-Merri is a small church in Paris, located on the busy street Rue Saint Martin, on the Right Bank. It is dedicated to the 8th-century Abbot of Autun Abbey, Medericus, who went to Paris on pilgrimage and later died there. In 884 Medericus, also known as 'Merry' was acclaimed patron saint of the right bank. Located at 48.859, 2.351 (Lat. / Lng. ), about 0 miles away. Le Baiser Salé is one of the main jazz clubs in Paris, France. It was founded in 1983 and is settled in the rue des Lombards which hosts several other famous jazz clubs such as the Sunset/Sunside and Le Duc des Lombards. Located at 48.8597, 2.34806 (Lat. / Lng. ), about 0 miles away. Le Duc des Lombards is one of the main jazz clubs in Paris, France. It was founded in 1984 and is settled in the rue des Lombards which hosts several other famous jazz clubs such as Le Baiser Salé and the Sunset/Sunside. The Jazz club is located on the corner of the Rue des Lombards and Sebastopol, and has been renovated in 2007/2008. Located at 48.8597, 2.34861 (Lat. / Lng. ), about 0 miles away. The Sunset/Sunside is one of the main jazz clubs in Paris, France. It was founded in 1983 and is the first jazz club to settle in the rue des Lombards which hosts several other famous jazz clubs such as Le Baiser Salé and Le Duc des Lombards. Located at 48.8597, 2.34778 (Lat. / Lng. ), about 0 miles away. The rue des Lombards is a street in Paris, France which is famous for hosting three of the main French jazz clubs : Le Baiser Salé, Le Duc des Lombards and the Sunset/Sunside. It was originally a banking center in medieval Paris, a trade dominated by Lombard merchants. Located at 48.8593, 2.34917 (Lat. / Lng. ), about 0 miles away. The Musée d'Art et d'Histoire du Judaïsme is a French museum of Jewish art and history located in the Hôtel de Saint-Aignan at 71, rue du Temple in the Marais district in Paris. The museum is open daily except Saturday. An admission fee is charged (an additional fee may be charged for temporary exibits, in which case the permanent exihibit will eventually dead-end and you must retrace the entire exhibit to exit). You must also pass through a military style checkpoint to reach the museum. Located at 48.8611, 2.35528 (Lat. / Lng. ), about 1 miles away. The Musée de la Poupée is a private doll museum located in the 3rd arrondissement at Impasse Berthaud, near 22 rue Beaubourg, Paris, France. It is open daily except Monday; an admission fee is charged. The nearest métro station is Rambuteau. The museum was established in 1994, and now contains a permanent collection of more than 500 French dolls. Located at 48.8616, 2.3543 (Lat. / Lng. ), about 1 miles away. The Bazar de l'Hôtel de Ville or BHV is a department store on rue de Rivoli in the 4th arrondissement of Paris, facing the Hôtel de Ville. It is part of the Groupe Galeries Lafayette and served by the Metro station Hôtel de Ville. It has also opened several other shops in France and in Beirut, Lebanon. Located at 48.8574, 2.35334 (Lat. / Lng. ), about 0 miles away. The Stravinsky Fountain is a whimsical public fountain ornamented with sixteen works of sculpture, moving and spraying water, representing the works of composer Igor Stravinsky. 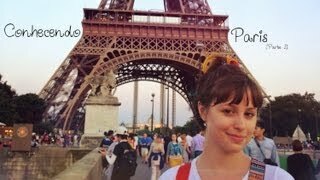 It was created in 1983 by sculptors Jean Tinguely and Niki de Saint Phalle, and is located on Place Stravinsky, next to the Centre Pompidou, in Paris. Located at 48.8595, 2.3515 (Lat. / Lng. ), about 0 miles away. The Fontaine des Innocents is a monumental public fountain located on the place Joachim-du-Bellay in the Les Halles district in the 1st arrondissement of Paris, France. Originally called the Fountain of the Nymphs, it was constructed between 1547 and 1550 by architect Pierre Lescot and sculptor Jean Goujon in the new style of the French Renaissance. It is the oldest monumental fountain in Paris. Located at 48.8606, 2.34801 (Lat. / Lng. ), about 0 miles away. The Fontaine Maubuée is an 18th century water fountain located at the corner of rue Saint-Martin and rue Venise in the 4th arrondissement of Paris. The fountain was originally at the corner of the rue Saint-Martin and the rue Maubuée. The site was originally occupied by one of the oldest fountains in Paris, which had been built in 1392 by King Charles VI of France. Located at 48.861, 2.35129 (Lat. / Lng. ), about 1 miles away. Le Défenseur du Temps (The Defender of Time) is a large mechanical work of art in the form of a clock created by the French artist Jacques Monestier. Located at 48.8625, 2.35261 (Lat. / Lng. ), about 1 miles away. Place Joachim-du-Bellay is square near the center of Paris, France, in the 1st arrondissement, near Les Halles and the Pompidou Center. It is named after Joachim du Bellay, a French poet and literary critic (1522–1560). The place Joachim-du-Bellay was built in 1787 on the location of the previous Saints Innocents Cemetery, after the cemetery's demolition. The Fountain of Innocents now resides in the center of the square, marking the last still standing remnant of the cemetery.